Of all the cultural holidays that exist in the world today, Valentine’s Day is by far the most supremely awkward. A casual ‘What are you up to this week?’ often results in a response like ‘Well, it’s Valentine’s Day tomorrow and I’m forever alone so I’ll probably just be at home eating chips.’ This kind of response, which is one I received last year, often leaves one feeling confused, unsure about what kind of sentiment Valentine’s Day is supposed to elicit, and sorry for asking anything in the first place. Between excessive googly eyed oversharing and excessive eye-rolling scorn, it can be difficult to determine what is, or should be, the day’s official public sentiment. For Valentine’s Day provides us with licence to air more than we might otherwise be permitted in the way of mawkish details or loud cynical disgust at the state of human romantic affairs. From one extreme to the other, gut-curdling sentimentality and exhausting misanthropy are never far away on Valentine’s Day. 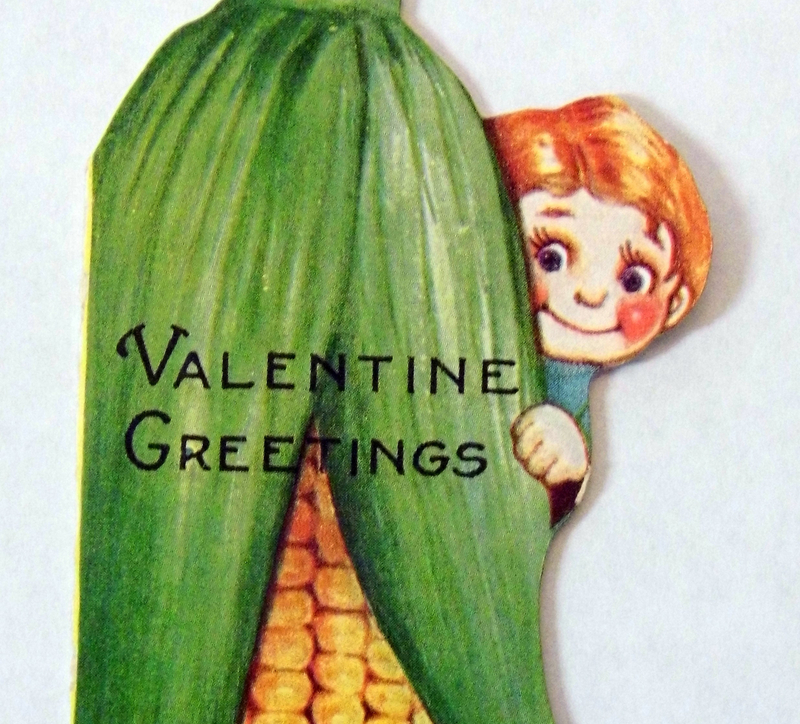 Therefore, in the aim of identifying a more moderate position between the two, I am endeavouring today to find a different way of looking at Valentine’s Day, by examining some the history of that strangely awkward date in the calendar – the 14th of February. Seeing animals grooming each other is often a cause for optimism, for it leaves one with a comforting sense that whatever bad may be happening in the world, the sweetness and honesty of animals endures. However, when one is casually strolling with friends, and in the middle of a brilliant anecdote you have been saving up, two of them unexpectedly start patting and grooming one another, it can be difficult not to find oneself in a position of slight awkwardness or discomfort. In extreme cases, if the situation is particularly delicate, a large tumbleweed may roll by, leaving you additionally confused and unsure of what to do. Carrick and Marsh, A Leap Year of Great Stories from History for Every Day of the Year (UK: Icon Books Ltd, 2007), p. 72. Due to the existence of more than one Saint Valentine, uncertainty remains about which Saint actually lends his name to Valentine’s Day. A persistent legend has it that the Saint commemorated on the 14th February was a Roman priest who was imprisoned for illegally marrying couples against the wishes of the Emperor Claudius. In the interests of building himself a highly focused army consisting of unattached and undistracted young men, Claudius had outlawed marriage, and it is said that during his imprisonment, Bishop Valentine fell in love with the blind daughter of his jailer. On the day of his execution – the 14th February – he left her a note signed ‘Your Valentine’, spawning a tradition that has survived into the modern day. So, when confronted with the sometimes embarrassingly awkward prospect of trying to decide how to respond to long and detailed reports of what your friends have planned for Valentine’s Day, perhaps mention the legend of Saint Valentine, with an emphasis on its tragic ending. This may cause your companions to pause for a moment in serious reflection at how even the most romantic ideals are closely tied to tragedy and failure – that life is after all, an extremely strange and fragile business – or it may cause them to politely excuse themselves from your company. In either instance, you will find yourself saved from a conversation that may have ended in discomfort. If diverting the conversation doesn’t work, and you find yourself unable to brighten the day with public declarations of how fascinating history is, consider doing something creative on Valentine’s Day – like building yourself a model trebuchet. Or, if you are feeling particularly bewildered at the extremes of emotion that emerge on the 14th February, try building a full-sized one, remembering that in the Middle Ages (and really throughout most of human history), love was rarely the guiding principle for marriage: most marriages were arranged according to political and economic benefits, meaning that the idea of marrying for love is, historically, a very recent one. In this sense, you are among the lucky few – for I am presuming and hoping that pressures like having a larger empire are not weighing down the state of your love life as they might have during the 15th century. This brings me now to an important acknowledgement I feel I must make. The tone of this entry so far might have made it seem as though I am suggesting that cynicism is the best response to the awkwardness that can be experienced on Valentine’s Day. While cynicism sometimes has its place – for humour and irony – there can be something as equally exhausting in an excess of cynicism on Valentine’s Day as there is in an excess of sentimentality. For years now, my sister has been giving ‘Happy Invented Love Day’ cards to her partner, and I was recently impressed to learn that a friend of mine last year gave what I believe was a vomit-themed card to her boyfriend of four years. This kind of witty cynicism, when both parties are involved, is entertaining, but more persistent cynicism can also create awkwardness and increase one’s suspicion that awkwardness – not romance – should be sanctioned as the official public sentiment of Valentine’s Day. Second – There are several kinds of love. One is a selfish, mean, grasping, egotistical thing which uses love for self-importance. This is the ugly and crippling kind. The other is an outpouring of everything good in you – of kindness and consideration and respect – not only the social respect of manners but the greater respect which is recognition of another person as unique and valuable. Even with cynicism, the ideal of love remains a beautiful one, so it can be helpful to remember, when confronted with misanthropic grumbling, that many people’s scorn and cynicism are a direct result of the disparity between the two types of love that Steinbeck highlights here: one that is used for self-congratulation and self-importance – such as we see in the adverts above – and one that functions as a window through which to appreciate the value of someone other than oneself – such as we see in the tale of Saint Valentine. If you will allow me to extend this piece to much longer than I had intended it to be, I feel compelled to mention a favourite folkloric figure of mine. In keeping with a discussion of how best to combat cynicism, it seems to me that there’s an odd parallel between Steinbeck’s reminder not to allow cynicism to make love small or light, and that terrifying German folkloric figure of the Krampus. While Hallmark is busy suggesting that love is a one-sided experience full of roses and chocolate – or at least that it should be on Valentine’s Day – the Krampus again, in his ugly wisdom, reminds us of a more realistic approach. However unfriendly and terrifying he might appear, the Krampus offers us a far more realistic image of romantic experiences as at times deeply troubling and unsettling affairs. He provides none of the biased, saccharine overdose one can expect from greeting card companies, but rather, in his characteristically mean fashion, the Krampus urges us to exercise more caution in pursuing our romantic ideals, for not all relationships will or can be as happy as we like to think they should be on Valentine’s Day. He needn’t be the friend of only the cynic, but can serve as a reminder for all of us that no romantic relationship can always be roses, and that battling demons is sometimes necessary. I have to agree with this, although I don’t think that’s where the cynicism surrounding Valentine’s Day stems from. I think a lot of people are made to feel unloved or underloved at this time of year, and it hurts. Roses and chocolates can go a long way sometimes to help one feel appreciated. Hehe, love your transera cynicism!